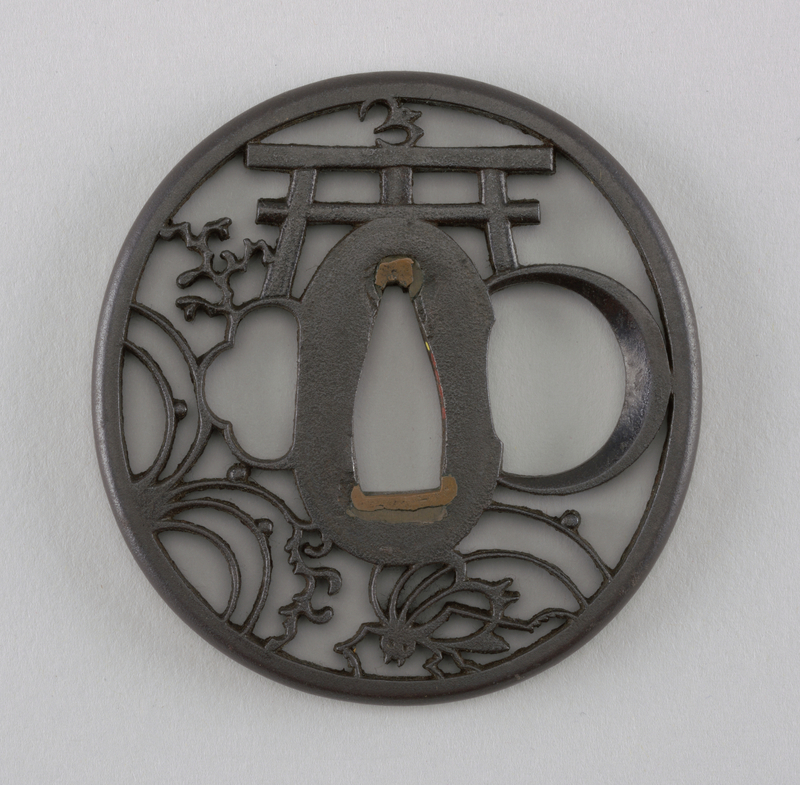 This is a Tsuba. It is dated 19th century and we acquired it in 1936. Its medium is iron, shakudo (a soft copper and gold alloy). It is a part of the Product Design and Decorative Arts department.